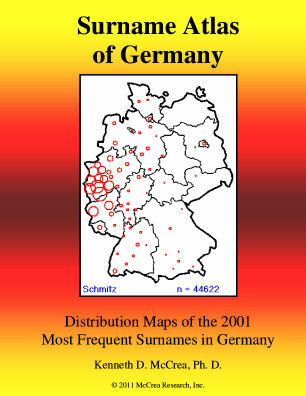 Surname Atlas of Germany by Kenneth D. McCrea, Ph. D.
by Kenneth D. McCrea, Ph. 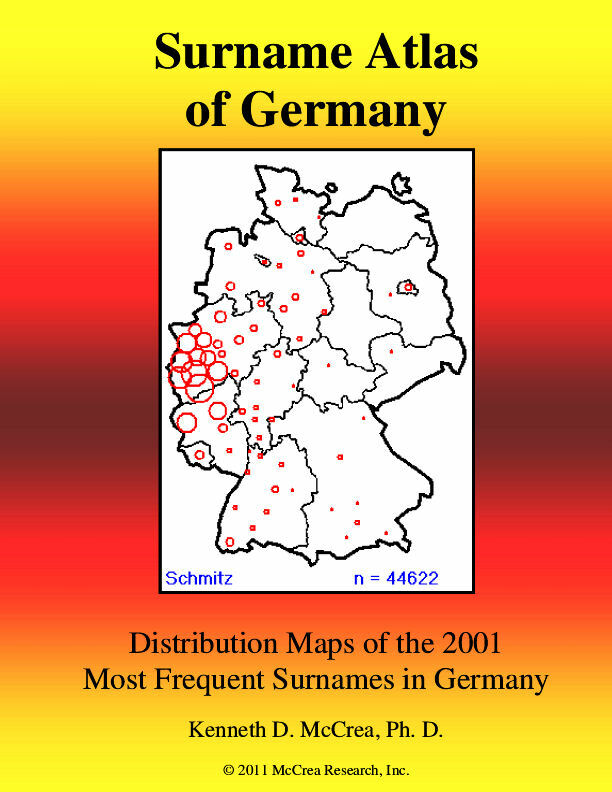 D.
The Surname Atlas of Germany, published in 2011 contains maps showing the geographic distribution of the 2001 most common surnames in Germany. The maps were created from modern telephone listings. This publication was designed to assist in genealogical research, but will also be useful for other types of investigations, such as studies of migration patters within Germany. © 2011 McCrea Research, Inc.